Bo Menkiti is the Founder and CEO of The Menkiti Group, a real estate company dedicated to transforming lives, careers, and communities through real estate. The Menkiti Group is focused on strengthening neighborhoods through the strategic development, management, and disposition of real estate in urban markets. Mr. Menkiti also serves as CEO and is the Founding Partner of Keller Williams Capital Properties, (KWCP) a residential real estate brokerage managed by The Menkiti Group. Prior to forming The Menkiti Group and KWCP, Mr. Menkiti served as Chief Operating Officer of College Summit, a national non-profit organization dedicated to increasing the college enrollment rate of low-income students. In this capacity, Mr. Menkiti oversaw the organization’s successful growth into a multi-site national organization. Under Mr. Menkiti’s leadership, The Menkiti Group and KWCP have been recognized by Inc. Magazine as being among the fastest-growing private companies in the nation, and by the Initiative for Competitive Inner City (ICIC) and Fortune Magazine as two of the fastest growing inner-city businesses in America. Mr. Menkiti’s work has been featured in David Bornstein’s book on social entrepreneurs, How to Change the World, and in Stephen Goldsmith’s The Power of Social Innovation, and he has been recognized nationally by Ebony and Inc. magazines as one of the coolest young entrepreneurs in America. 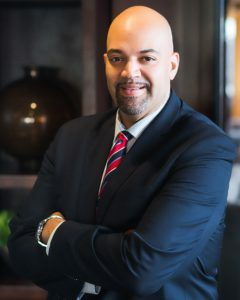 In 2006, Mr. Menkiti was recognized with The National Association of Realtors Prestigious “30 Under 30” award, and in 2014 he was honored by the National Association of Realtors as the District of Columbia Realtor of the Year and named to the Washington Business Journal’s Power 100, a list of the most influential business leaders in the Washington metropolitan area. In 2015 Keller Williams Realty International named Mr. Menkiti its Entrepreneur of the Year. In 2017 Mr. Menkiti was named the EY Entrepreneur Of The Year for Innovation in the Mid-Atlantic and was given the Marcia Lamb Award for Inner City Innovation by the Initiative for a Competitive Inner City. Committed to serving communities and transforming neighborhoods by serving on civic and public service organizations, Mr. Menkiti was elected as the 2013 President of the District of Columbia Association of Realtors and was appointed by the Mayor to the board of DC Water, the District of Columbia Water and Sewer Authority. Mr. Menkiti is also a trustee of the Federal City Council and serves on the boards of the Meyer Foundation, City First Bank, Ryan Kerrigan’s Blitz for the Better Foundation and the District of Columbia Building Industry Association. In 2014 Mr. Menkiti launched the CPMG Foundation (Capital Properties Menkiti Group Foundation) an organization that focuses its resources on serving its community in the areas of Housing, Youth, Education, and Entrepreneurship. Mr. Menkiti is a graduate of Harvard University and lives in Washington D.C. with his wife and three sons.